TORONTO FILM. 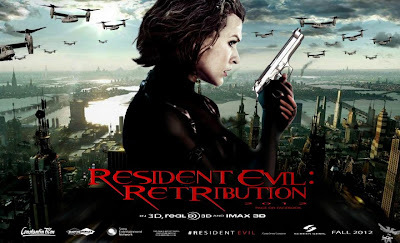 NET: Sneak Peek "Resident Evil: Retribution"
Sneak Peek "Resident Evil: Retribution"
"...the deadly 'T-virus' from the 'Umbrella Corporation'continues to ravage the Earth, transforming the global population into legions of the 'Undead'. The human race’s last and only hope, 'Alice' (Jovovich), awakens in the heart of Umbrella's most clandestine operations facility and unveils more of her mysterious past as she delves further into the complex. "Without a safe haven, Alice continues to hunt those responsible for the outbreak; a chase that takes her from Tokyo to New York, Washington, D.C. and Moscow, culminating in a mind-blowing revelation that will force her to rethink everything that she once thought to be true. Aided by newfound allies and familiar friends, Alice must fight to survive long enough to escape a hostile world on the brink of oblivion..."
Based on the Capcom video games, director Anderson first came to the "Resident Evil" movie series as writer/director of "Resident Evil" (2002), then writer/producer of "Resident Evil: Apocalypse" (2004) and "Resident Evil: Extinction" (2007). 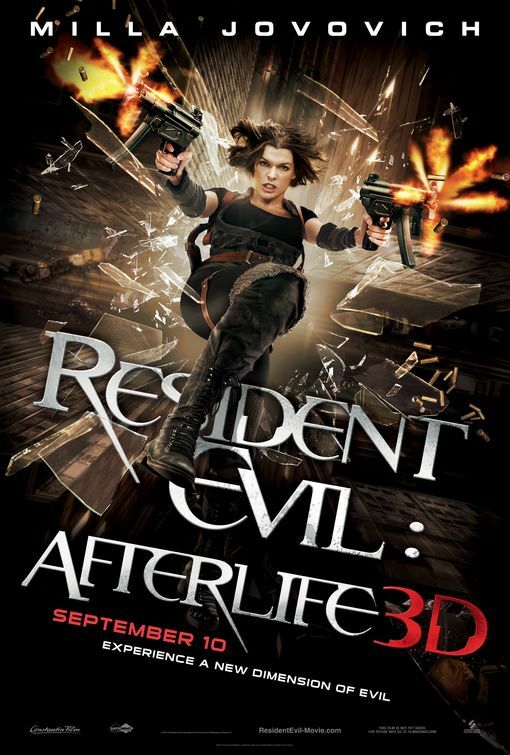 He directed the fourth Toronto-lensed installment, "Resident Evil: Afterlife" (2010) in 3D. 'The Umbrella Corporation' acts as the main antagonist in the series, a company responsible for a 'zombie apocalypse' as a result of the creation of the 'T-Virus'. 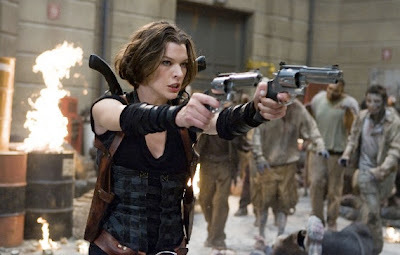 'Alice' (Jovovich), who was once a security operative working for Umbrella is granted super-human abilities after being tested on by Umbrella. 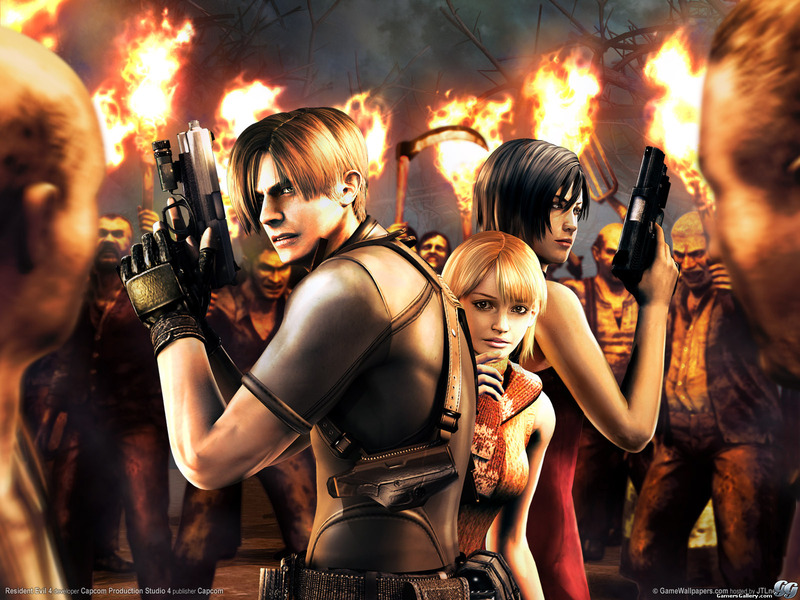 Through her battle with the corporation, she eventually meets with the main antagonist, 'Chairman Albert Wesker' (Shawn Roberts). The franchise of movies have collectively earned $700 million worldwide on budgets totalling $183 million. Sony will release the new film, Sept. 14, 2012.